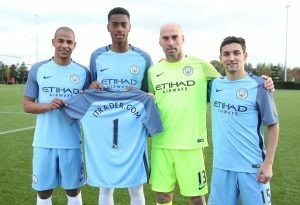 iTrader.com has agreed a deal to become the Official Online Trading Partner of Manchester City in the EMEA region. The multi-year partnership agreement will provide iTrader.com with access to a full suite of marketing rights including access to Manchester City first team players, use of the club crest, exposure across the club’s social platforms, a permanent presence on the City website and a co-branded microsite to create an integrated multi-national campaign. The partnership will also enable iTrader.com to host customers and fans throughout the season at the Etihad Stadium.